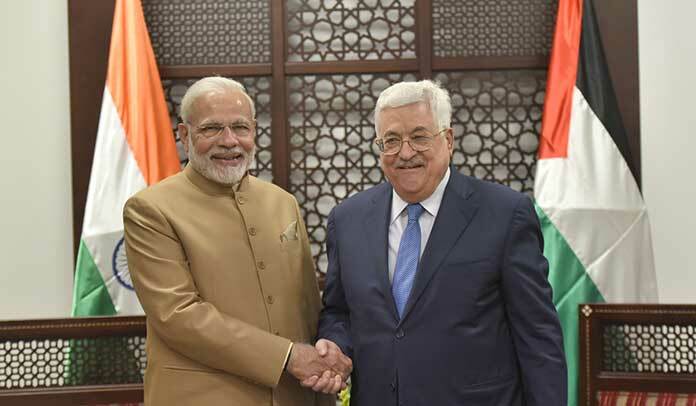 PM Modi in Palestine: Indian Prime Minister Narendra Modi on Saturday met Palestinian President Mahmoud Abbas on his maiden visit to Palestine. Both the leaders met for few hours. 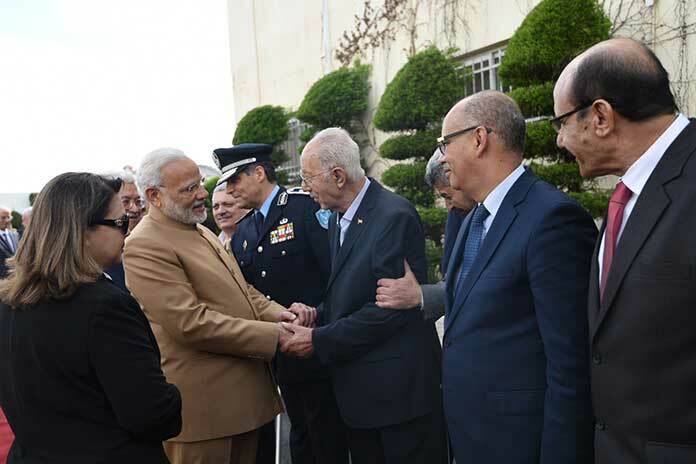 After reaching Palestine Modi visited the Mausoleum of Yasser Arafat in Ramallah and laid a wreath at the grave of Arafat. 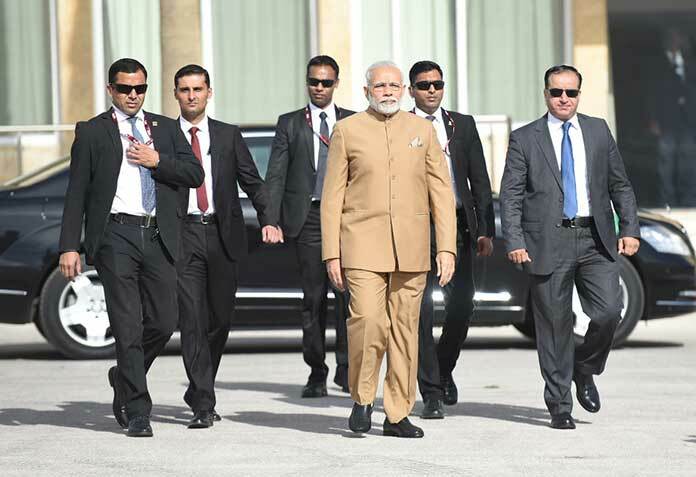 Modi was accorded a red carpet welcome. 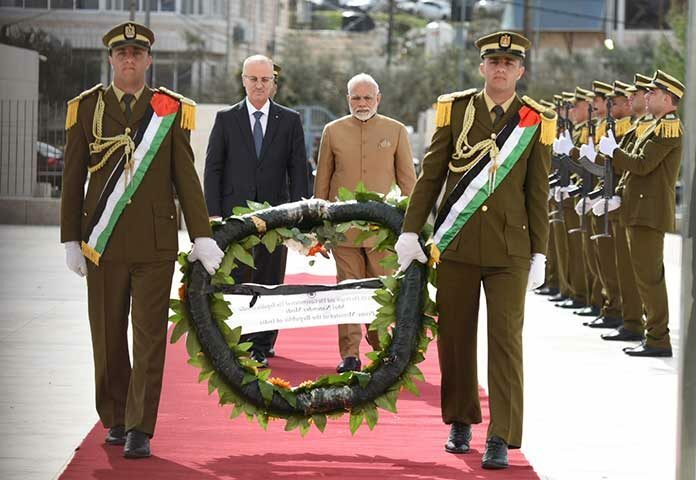 He is the first Indian Prime Minister to make an official visit to Palestine. 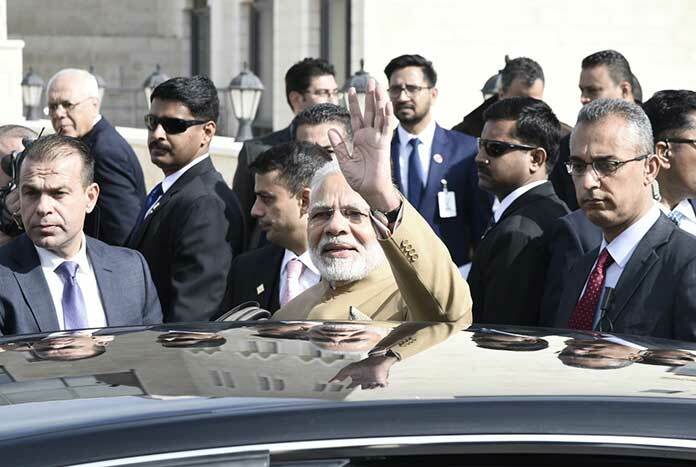 During his maiden visit to Israel last year, Modi did not travel to Ramallah, leading to analysts questioning the future of the Indo-Palestine ties. According to news agency PTI, both the leader discussed the full range of India-Palestine ties following which the two sides signed six agreements worth around $50 million that includes setting up of a $30 million super speciality hospital in Beit Sahur. Three agreements in the education sector worth $5 million, one MoU for procurement of equipment and machinery for the National Printing Press and one for construction of a centre for empowering women were also signed. At a joint press statement with PM Modi, President Abbas acknowledged that the Indian leadership has always stood by peace in Palestine. 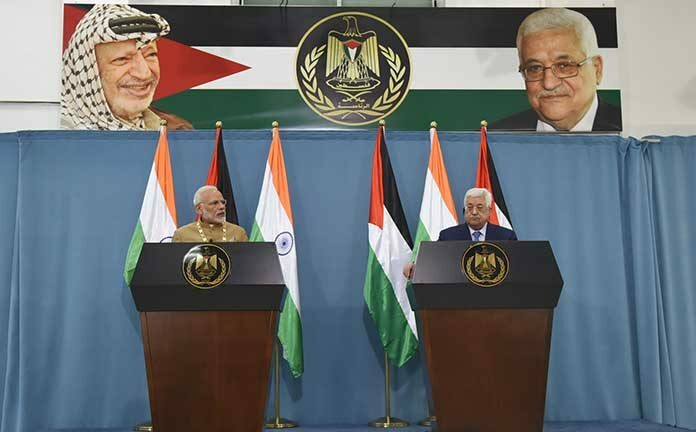 Abbas said he had “fruitful and constructive” talks with Prime Minister Modi and he updated the Indian leader on the overall developing situation in Palestine and in the region. 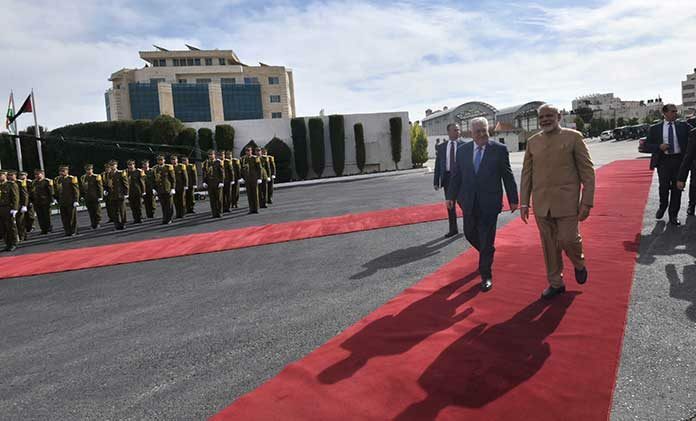 Prime Minister Modi assured President Abbas that India is committed to the Palestinian people’s interests. “Friendship between India and Palestine has stood the test of time. The people of Palestine have shown remarkable courage in the face of several challenges. India will always support Palestine’s development journey,” Modi said, adding that India is hopeful of peace and stability in the region. Palestinian has sought India’s support for a multi-country mechanism to achieve a “just and desired peace” with Israel in accordance with the two-state solution. According to news agency PTI, both the leader discussed the full range of India-Palestine ties following which the two sides signed six agreements worth around $50 million that includes setting up of a $30 million super speciality hospital in Beit Sahur. Three agreements in the education sector worth $5 million, one MoU for procurement of equipment and machinery for the National Printing Press and one for construction of a centre for empowering women were also signed. President Abbas said Palestine is ready to engage in negotiations to achieve freedom and independence in accordance with the two-state solution along the lines of 1967 and internationally legitimate resolutions so that both Palestine and Israel can co-exist in peace and security, provided that East Jerusalem is the capital of the state of Palestine. 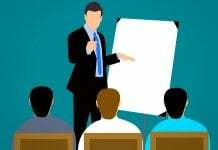 Abbas said the formation of a multi-lateral mechanism that is produced by an international peace convention is the most ideal way to broker negotiations with Israel, which is India’s strategic partner and among its top arms suppliers. “We rely on India’s role as an international voice of great standing and weigh through its historical role in the Non-Aligned Movement and in all international forum and its increasingly growing power on the strategic and economic levels, in a way that is conducive to just and desired peace in our region,” President Abbas said. 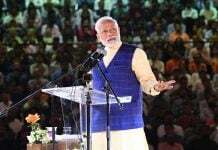 Prime Minister Modi said India hopes for Palestine to soon become a sovereign and independent country in a peaceful environment through dialogue. “We hope for peace and stability in Palestine, we believe a permanent solution is possible with dialogue. Only diplomacy and farsightedness can set free from violence and baggage of the past. 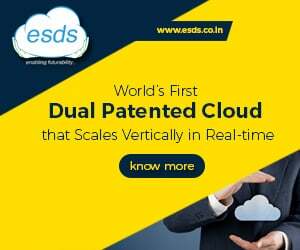 We know it is not easy but we need to keep trying as a lot is at stake,” Modi said. 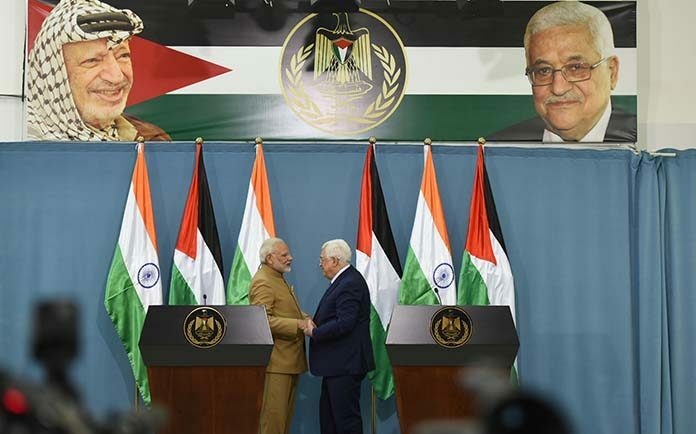 Though India has shied away from becoming a party in the Israel-Palestinian conflict, the Palestinian leader on several occasions has stressed on a possible role for New Delhi in the Middle East peace process. 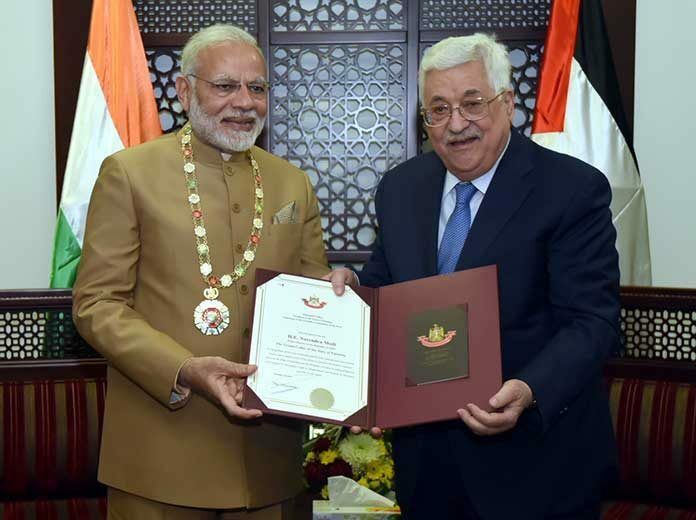 President Abbas also conferred the ‘Grand Collar of the State of Palestine’ on Prime Minister Modi, recognising his key contribution to promote ties between India and Palestine. The Grand Collar is the highest order given to foreign dignitaries – Kings, Heads of State/Government and persons of similar rank. Modi, on his part, said, that bestowing the honour on him was a matter of proud moment for India. This was also the reflective of the friendship between India and Palestine. 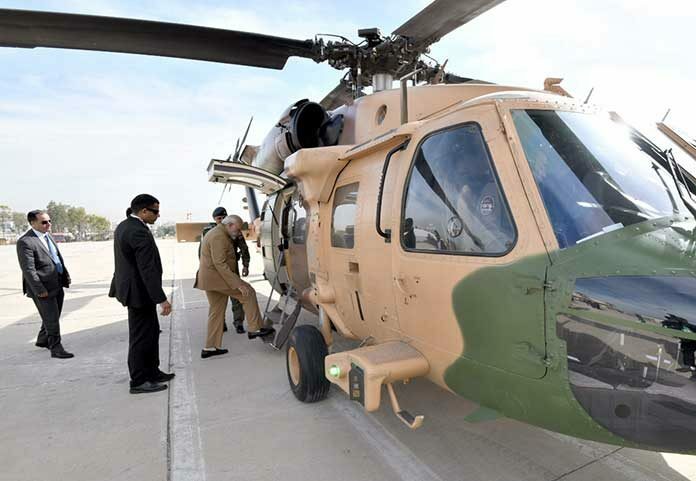 Modi flew in a Jordanian army helicopter straight from Amman to Ramallah, where he was received by his Palestinian counterpart Rami Hamdallah. Prime Minister Modi’s chopper was escorted by choppers from Israel Air Force.